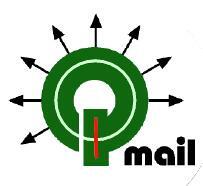 QMail is an Open Source Internet Mail Transfer Agent (MTA) for UNIX-like operating systems. 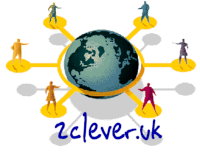 It is a drop-in replacement for the Sendmail system provided with UNIX operating systems. qmail uses the Simple Mail Transfer Protocol (SMTP) to exchange messages with MTA’s on other systems. Secure: Security isn’t just a goal, but an absolute requirement. Mail delivery is critical for users; it cannot be turned off, so it must be completely secure. Reliable: qmail’s straight-paper-path philosophy guarantees that a message, once accepted into the system, will never be lost. qmail supports maildir, a super-reliable user mailbox format. Efficient: On a Pentium under BSD/OS, qmail can easily sustain 200000 local messages per day—that’s separate messages injected and delivered to mailboxes in a real test! Although remote deliveries are inherently limited by the slowness of DNS and SMTP, qmail overlaps 20 simultaneous deliveries by default, so it zooms quickly through mailing lists. Simple: qmail is vastly smaller than any other Internet MTA. Some reasons why: (1) Other MTAs have separate forwarding, aliasing, and mailing list mechanisms. qmail has one simple forwarding mechanism that lets users handle their own mailing lists. (2) Other MTAs offer a spectrum of delivery modes, from fast+unsafe to slow+queued. qmail-send is instantly triggered by new items in the queue, so the qmail system has just one delivery mode: fast+queued. (3) Other MTAs include, in effect, a specialized version of inetd that watches the load average. qmail’s design inherently limits the machine load, so qmail-smtpd can safely run from your system’s inetd.